The all too precious Charlotte dons a one piece garnished with an original too shea design..
She is so excited about it!! Can we say this baby is a model in the making... "too shea" says definitely. 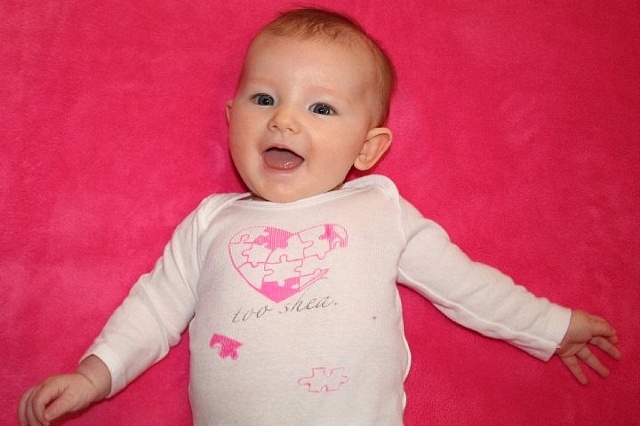 Charlotte in "too shea" baby wear!